Last month was my wife's birthday and for some unknown reason she decided she wanted chickens. I wasn't too keen at first but soon came round to the idea. We had chickens, ducks and geese at home when I was a kid and I thought it would be kind of cool to carry that into the next generation. Besides, I'm rubbish at birthday presents so it's usually best just to go with what she asks for. So at the end of July we started our chicken collection with 4 silkies (3 hens & 1 rooster) and a fairly small pre-fab coop. 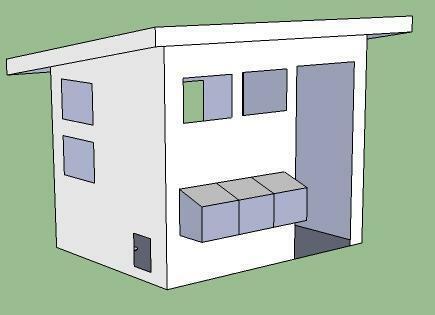 I bought that first coop as a short term solution so that I could take the time to design and build a "proper" coop without being under too much time pressure. With my wife (and her chickens) happy for the time being, I started doing some research for my design. First stop: Google. Second stop: BYC. 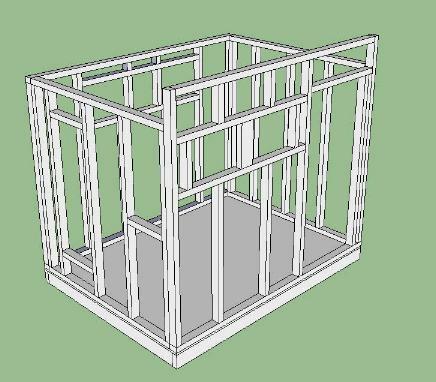 Taking ideas from all the great coop designs on this site I came up with my first design, which I was pretty happy with and went ahead and ordered the materials to build it. But while waiting for those materials to arrive I was doing alot of reading on the BYC forums; not only did I learn more about coop design, ventilation, materials, watering systems, feeders, nest box sizes, roost size, roost height, litter control methods etc, it also became apparent that this hobby could quickly become addictive and we should probably build bigger than originally planned. So coop design 2 was born. First of all - somewhere in the BYC forums I saw mention of Google Sketchup. It's a great tool for drawing in 3D and once you get the hang of it it's quite easy to try out different ideas to see how they would work/look. I used it extensively in developing the design and also in working out the construction details. Below is the outline design followed by the framing details. The coop is 8' x 6', 7' high at the front, 6' high at the rear. 2 opening windows on the front wall and 2 on east wall (later moved to the back wall so we won't have to go inside the run to open them). The roof will be vented through 5x2 rafters. The floor: the site was cleared and concrete blocks bedded into concrete at the 4 corners. 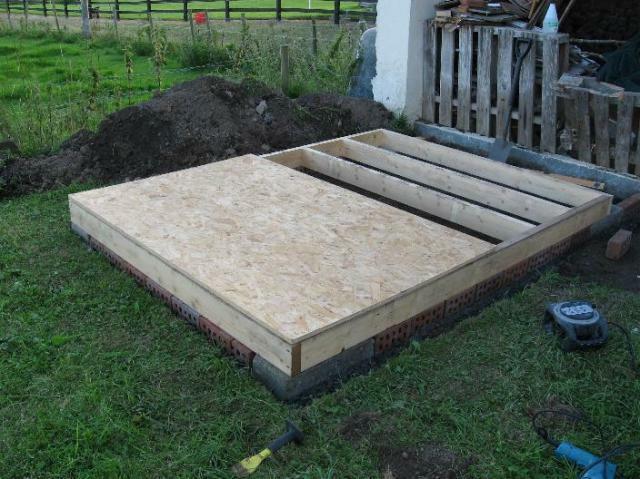 The 5x2 floor frame rests on the 4 blocks. The red bricks are mainly there to prevent anything making a home underneath (mice, rats etc) but since they're also bedded in concrete they'll help to support the structure too. 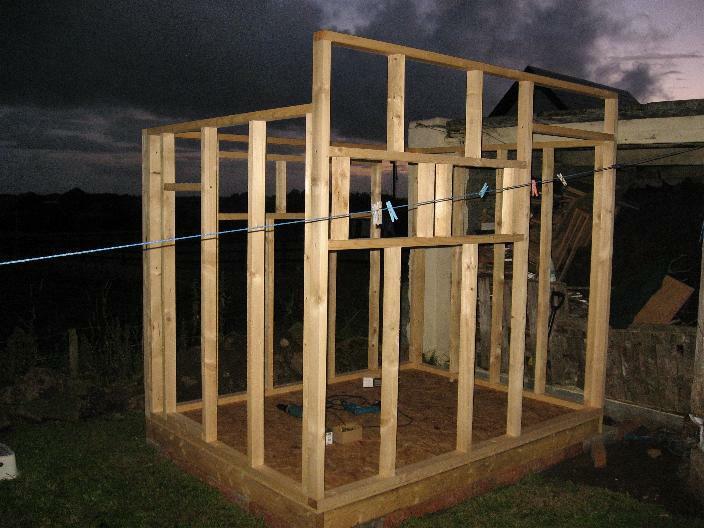 The finished frame: (it was nearly dark by the time we finished). The finished frame probably runs about 95% to plan with some minor changes made as we went along. The siding in progress: the outer walls are lapped 7x1s. 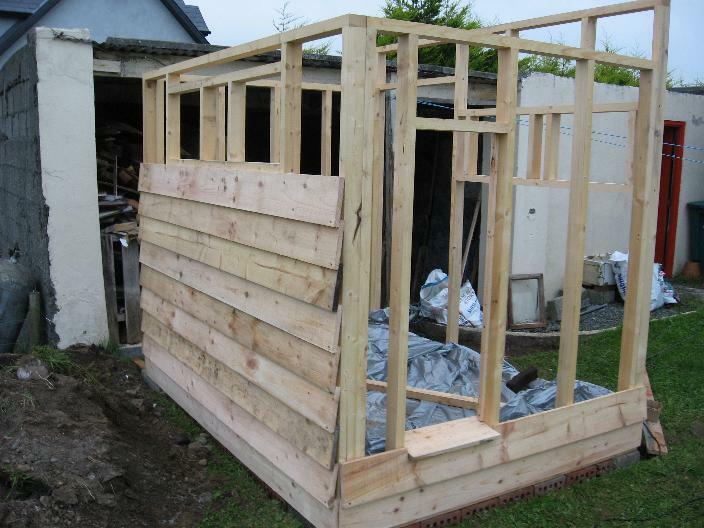 Inside will be insulated and lined with plywood or possibly corrugated plastic. The siding is quick to install but takes alot of thought before each cut to make best use of the raw materials. Just the start of this but it looks like it is a great coop. my only concern on this is that it'd get damp underneath the mostly-wooden structure. you've raised it to protect from rot, but have made it inaccessible to treat and check for termites. maybe it was sorted and the photos were never uploaded? "Would like to see the finished coop." Awesome job with the scretch, would love to see the finished product.